In TDU2 the Japanese version, the voice is not reflected properly it's Ver2.2. But was reflected properly also voice After you use this GUI1.1! I am very grateful! Hi I need help. I try to run this on my laptop with have windows 8 64 bit and i am receiving "This app can't run on your pc. Can you help me please. Is there a way to launch unpacked version without using the "TDU2 Universal Launcher"? Never mind, I was a bit afraid of the Universal Launcher at first because of the warning in the .txt file. But after installing the launcher and scanning it, it looked pretty normal. I can't wait to play this game with mods, I am currently on a forced Hiatus. But when I finally get the chance to play my modded version, I tell you how my first time went. Normal up launcher will check the file on startup. And replace them with the original if modified files found . So, you need to use the launcher other than at least normal game launcher. Since unpack takes time, only you can wait just. My PC is a high power, but still took about 10 minutes to unpack. Error: Not enough space ""
in them at the end. Thought all my hdd have more then 100gb free space so space shouldn't be a problem. Already tried runnying as admin/ not as admin / deactivating UAC / diffrent hdd / diffrent folders always the same errors. If its also helpful i use Win7 64-bit and my tdu2 is from Steam. Does that mean that an error message is displayed during unpacking and will not be completed? If you do not see an error message, you may have forcibly terminated before unpacking was completed. Depending on the performance of the computer, unpacking takes more than 20 minutes for Corei i7 3930K system. During the process there are errors displayed in the GUI but not with a popup and after around 1 minute it already downloads the universal launcher. Oh, I remembered one thing. Unpacker tries to download the universal launcher at the end, but it seems to fail there. Probably caused by the launcher being a new version. Once unpacking is over, you will need to download and install the universal launcher yourself. The problem with the unpacking is the whole unpacked stuff i have in the end is only 144MB which is nowhere near the supposed to be 16GB. And the folder named Unknown_bin for example is empty. What i also saw in the log of the .big files now is that it states the following: " the file is bigger than 2 gigabytes, it should work correctly but contact me or the author of the script......." but maybe that is normal. Hmm,, I have no idea for now. Sorry can not help you. Today i tried the same thing on a friends Laptop. Worked there without any problems. Tried to use the files from his laptop then on my pc but sadly it crashes then directly with an error message: The requested information is not available because the process has ended. Maybe my Antivirus still somehow gets in there or something else is wrong entierly. So in the end i will install Windows completely new next weekend and see what happens then. 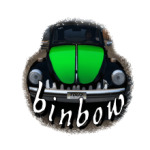 And thanks binbow for trying to help me.